Louise Phillips Writer: The Ruth Rendell Short Story Competition now open for entries! The Ruth Rendell Short Story Competition now open for entries! 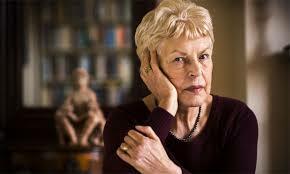 Monday 22nd June sees the launch of the fifth Ruth Rendell Short Story Competition. The challenge for writers is to write a piece in any genre in no more than 1000 words. The winner of the competition will receive £1000 and will be commissioned to write four further stories for InterAct over the course of one year. The closing date for submissions is Thursday 29 October 2015, World Stroke Awareness Day. The winner will be chosen by Lynda La Plante, who will present the award to the winner at a ceremony to be held in 2016. 1. The length of each story must not exceed 1000 words. 2. Entrants can write in any genre. 3. Entrants can submit multiple stories. 4. The winner of the Ruth Rendell Short Story Competition will receive £1,000 and will be commissioned to write four further short stories for InterAct Stroke Support over the course of one year. 5. The closing date for all entries is 5pm, Thursday 29th October (World Stroke Day). 6. A £15.00 entry fee is applicable to each story entered. Payment by paypal with online entry or cheques and postal orders payable to: InterAct Stroke Support with postal entries. 7. The competition is open to anyone, including non-UK applicants, over 16 years. 8. Stories must be entirely the work of the entrant and must never have been published, self-published, published on any website or public online forum or broadcast. 9. While the copyright of any story submitted to the Ruth Rendell Short Story Competition will remain with the author, the submission of a story is done with the understanding that InterAct has the right to copy, distribute and publish the story to support the charity’s work. 10. Writers should be aware that if stories are to be read on hospital wards they will have to be sensitive to such a ward enviroment, and shortlisted stories will be judged on their abiliity to be effectively read on a hospital ward. Disclaimer: Due to the expected volume of entries, the charity is unable to offer individual feedback to entrants. The decision of the judges is final. a) Online entries will receive an ID number on submittion of your entry form and this must be entered with the paypal payment of £15.00 per entry. The filename of online entries must be the title of the story and it must be either a .doc .docx or .pdf file. The entrants name and contact details must not appear anywhere on the manuscript of the submitted story. Online entries are confirmed by the email receipt of your payment to paypal. Alternatively you can pay by cheque, quoting your unique ID number on the reverse of the cheque. Any online entry will not be complete until payment has been received. b). Postal entries must be typed, single sided, with pages numbered and unstapled, with payment by cheque for £15.00 per entry. Please enclose a stamped addressed postcard marked ‘ACKNOWLEDGEMENT’ if you require acknowledgement of receipt of your postal entry. Emailed entries will not be accepted. It is not possible to confirm receipt of entries by phone or email.